Beyond the 4 Cs: What is Presence? 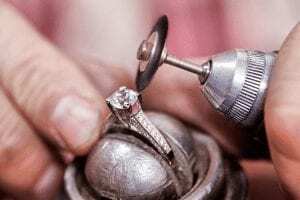 If you’ve begun the process of engagement ring shopping, you’ve probably heard all about the 4 Cs that make or break the beauty of the diamond. 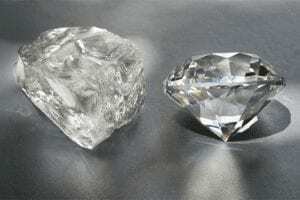 There’s carat weight, cut, clarity, and color. 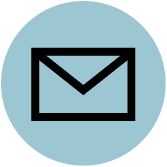 But don’t be fooled: simply because a stone scores well on the 4 Cs does not make it the superior quality diamond your bride-to-be has fantasized about. Tiffany & Co. holds its diamonds to a far higher standard. A Tiffany Diamond is evaluated beyond the usual 4 Cs to grade on ‘presence,’ a unique element that is determined by precision of cut, symmetry, and polish. Together, the elements of presence have a profound impact on a diamonds brilliance, scintillation and dispersion. Let’s break down these evaluations that define a Tiffany diamond’s presence, and thus overall beauty. 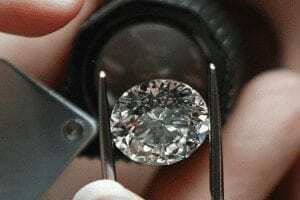 The diamond cutter’s skill will determine the scintillation of the diamond, or its sparkle. It is important to maximize the amount of light reflected from the diamond’s polished facets as the diamond moves, and precision of cut plays a major role here. Symmetry of cut determines how perfectly and precisely each facet is positioned on the polished diamond. Tiffany evaluates the relationships between the dimensions and angles of the diamond’s faceting, resulting in perfectly proportional diamonds. The symmetry of cut will greatly impact the brilliance of the diamond. 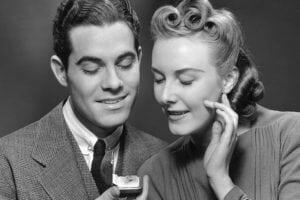 Lastly, a diamond with superior presence must have a high polish grade. 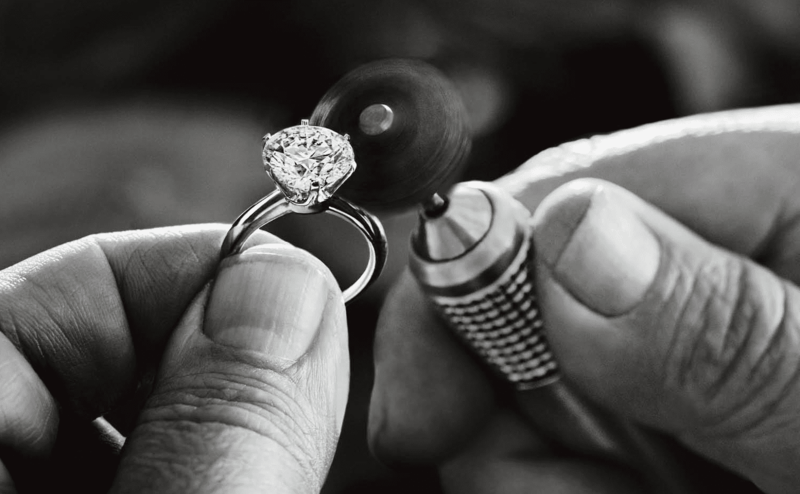 Extra care is taken to ensure that each Tiffany diamond’s beauty is accentuated, not compromised. Each of the 57 facets are hand-polished. While carat weight, cut, clarity, and color are certainly vital in determining the beauty of a diamond, its brilliance is further enhanced by going beyond the 4 Cs. The three measurements that comprise “presence” are what place Tiffany’s unique grading system, and thus its superior diamonds and craftsmanship, at a cut above the commonly known 4 Cs. 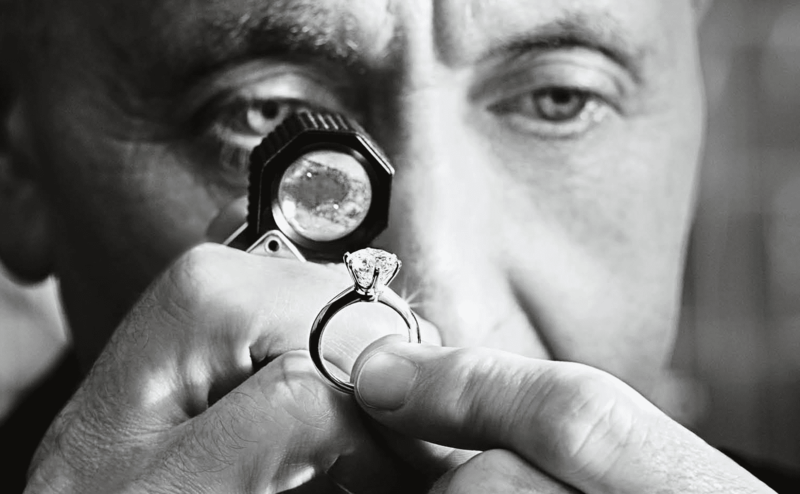 With diamonds held to these high grading standards, you can’t make a wrong decision at Tiffany & Co.